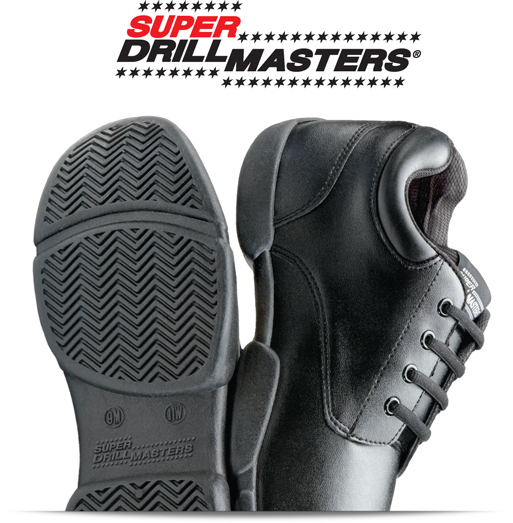 The revolutionary design of the System Blue Super Drillmaster is totally unique. 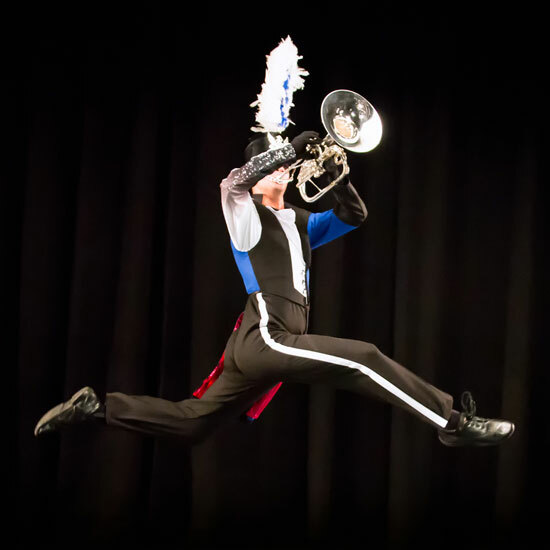 The product is an intimate collaboration between the Blue Devils and Drillmasters that began back in 1994. The design team maintained strict requirements for comfort, support, flexibility and the all-critical, safety/stability. The goal was simple: heavy and stiff had to go. 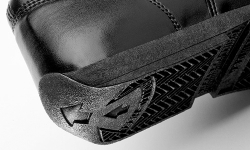 ROLLED-HEEL™ Patented technology DIRECTS THE FOOT into/through a perfect corps-style, “glide step.” Over and over. Effortlessly. Until it becomes automatic. Perfect. ACHILLES TENDON/HEEL-LOCK Plush-Comfort Ankle Collar derived from high-end sports shoes, the HEEL LOCK and Collar absolutely protect, secure and stabilize the foot. Promotes flawless execution of demanding, complex drill. FOREFOOT HINGE™ Another unique innovation facilitates a more pleasing, “Toes-Up” visual-effect. Ordinary band shoes uncomfortably fight the foot’s anatomy. This strategically placed “groove” complements it for a graceful, “ball of the foot” flex.